Seats still available on all departures. A trip down the Canning is like nothing you could ever imagine. One solitary set of wheel tracks setting out across the Great Sandy Desert eventually connecting with Wiluna, 2000 km to the south making it the longest and most remote stock route in the world. 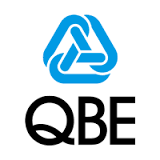 It is a place of great natural beauty, with land systems ranging from spinifex plains to wetlands, dune systems, desert oak forests, spectacular ranges and escarpments and salt lakes. It is also the longest heritage trail in Australia, containing Aboriginal rock art galleries, lonely graves of stockmen and explorers, and the series of wells that punctuate the route. Some of these have been restored, and good water can be obtained. Others lie in ruins. This is a fully catered expedition. You can choose to travel in our vehicles or tagalong in your own. The Canning today is one of the worlds greatest 4X4 adventures that combines a rich cultural heritage, extraordinary natural history, and an exciting remote area tour. 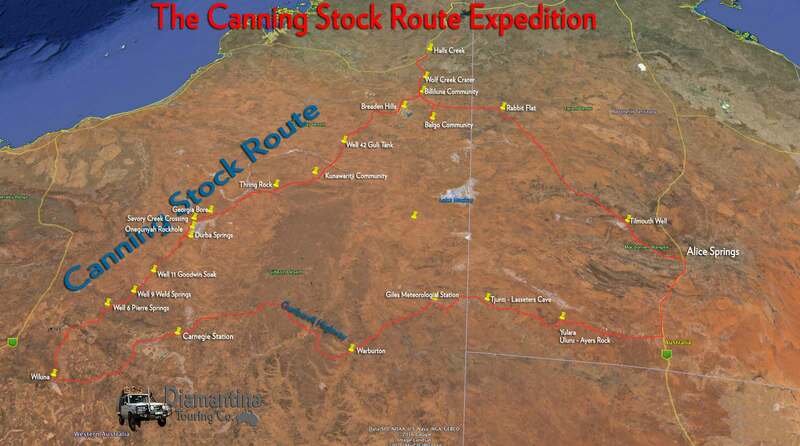 Unlike most commercial operators, we travel the ENTIRE length of the Canning Stock Route. 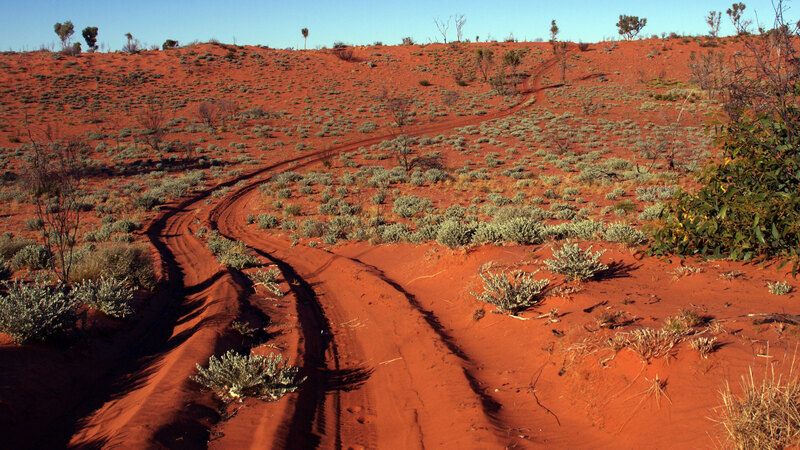 This tour also includes the Tanami Track and The Gunbarrel Highway. Diamantina have been operating on the Canning Stock Route since 1992. Travel with the acknowledged and recognised experts! endurance and hardship. Imported African Zebu cattle introduced to the Kimberley in 1872 were infected with the tropical disease babesiosis, which is spread by the boophillis tick. The tick had hitchhiked across the Indian Ocean with the cattle and rapidly spread the disease throughout the Kimberley. Infected cattle would wade into waterholes and rivers to try to cool down. The blood in their urine turned the water red, and the disease became known as ‘redwater fever’. The government promptly banned the export of live cattle from the ports of Broome, Derby and Wyndham, sending the economy of the Kimberley into a tail spin. It was known that the tick did not survive in the sandhill country, so pastoralists started lobbying for a stock route south across the vast Great Sandy Desert to the markets of the Eastern Goldfields and Perth. This country had previously only been penetrated by a few explorers. known as Martu (pronounced Mardoo) thier cultural background is part of the Western Desert cultural bloc. The oldest rock art on the Cannning Stock Route is found in the Carnarvon Ranges estimated to have been for the last 25,000 years. Rock art in the Calvert Ranges dates back some 5,000 years, however the weathering on some of the stone engravings suggests that habitation could have been back to the Last Glacial Maximum, 18 - 30,000 years ago! The Martu people today live and travel over a large area of the Stock Route and surrounding countryside and still share a strong cultural bond with the physical features along the stock route. Today there are Martu people living in all the major towns surrounding the Stock Route, as well as in some of the isolated communities along or nearby the Stock Route, including Punmu, Parngurr and Kunawarritji..
who was the youngest son of the Ninth Earl of Southesk led a self funded expedition across large sections of the Great Sandy and Gibson Deserts, intersecting the stock route at several places. Also in 1896 the ill fated Calvert Expedition led by South Australian surveyor Larry Wells travelled through the Great Sandy Desert.They suffered severe privations resulting in the deaths of two of the party. Cannings survey party and the well digging party travelled largely through unexplored country. Later there were numerous mineral and oil exploration companys on the move through the country, but its remote and difficult terrain mean that there are still areas around the stock route that have not been visited by Europeans. unsuitable for a stock route but regardless of this, the government in 1906 appointed surveyor Alfred Wernam Canning (pictured) to lead a survey expedition. It took six months for the party to cross the 2000 km of trackless desert. Aboriginal ‘guides’ led Canning and his men to numerous wells and waterholes en route. From 1908 to 1910 he led a well-sinking party. Labouring under extraordinary hardship, they managed to sink and construct an average of one well every fifteen days. It was an incredible feat, given the harsh terrain and searing heat. Against all the odds, suffering from thirst and starvation, Canning managed to open a viable stock route through some of the most remote and inhospitable terrain in the outback. and in 1959, drover Mal Brown led the last. There were only thirty-five known drives, which seems incredible given the huge amount of resources taken to construct and maintain it. Eileen Lanningan was the only known female drover. Through the war years Ben Taylor led numerous drives, and in the 1950's several drives were led by the colourful Wally Dowling, who wrote poetry under the nom de plume "The Mad Desert Rat". We will visit many historical sites of droving significance. was the dump zone for rockets from the Woomera Range. Surveyor Len Beadell cut a series of roads through the desert which allowed access to this region, resulting in several "first contacts" between Aboriginal people and Europeans. The last known "first contact" was in 1974 just west of Lake Dissapointment. Since the 1980s visitation has increased, with modern day adventurers like Peter Vernon cutting tracks to interconnect Cannings Wells, meaning that the stock route can now be travelled its full length in a 4X4. Halls Creek is on the Great Northern Highway, and will be our last opportunity to take on provisions for the Canning. We head south to Billiluna, on Sturt Creek and leave the maintained dirt road. Following the western edge of the Sturt Creek overflow, we arrive at the first Canning Stock Route Well 51, known as Weriaddo. This is the real start of the Canning; it was the delivery camp for the drovers, and the last well constructed by Canning. We camp on a large clapyan near Well 50. At Well 49 we visit the lonely grave of drover's cook Jack Smith who died in 1939 after a horse fell on him. Soon we enter the Southesk Tablelands. The spectacular buttresses of the Breaden Hills rise above us.We will explore Breaden Tank, a rock hole with an Aboriginal hide surrounded by massive fig trees and walk to Godfrey's Tank, where explorer David Carnegie and Canning's second in charge Hubert Trotman carved their names into the sandstone. There are also some excellent Aboriginal petroglyphs to be found in the area. We will continue south to camp on a flat surrounded by Snappy Gums at Well 46. Beyond Well 46 we enter dunefield of the Great Sandy Desert. Over every sandhill an entirely new landscape presents itself. Sometimes we are in a sea of spinifex with its blonde heads waving in the breeze like a vast wheat field, other times we are in a forest of holly grevillea with it's red inflorescence hanging like Chinese lanterns. The dunefield is punctuated by rocky outcrops, some containing Aboriginal art, and lakes, including the Gravity Lakes. We camp at Billowaggie, Well 43. We are in the heart of the big dune country. The track winds its way down to Well 42 at the southern end of Lake Guli, a shallow playa or salt lake mostly covered in brightly coloured samphire. We travel on down to Well 41, which is surrounded by dead melaleucas, victims of the 2001 flooding.It is then on down to Well 40. A kilometre or so behind the well is the grave of Michael Tobin, a member of Canning 1907 Survey Party who was speared by natives. The lonely grave on top of a sandhill is a poignant reminder that this area was until recently very much a frontier. We cross Lake Tobin and travel through Desert Oaks to our camp north of Water 38. We visit Water 38, Wardabunni Rockhole, beside a rocky creek. Explorers and drovers have carved their names in the rock here, and there are also some ancient Aboriginal scrapings. We travel to Well 37 the so-called 'Haunted Well'‚ due to several graves of drovers and prospectors speared or bludgeoned by Aboriginals. We will hear the stories of first contact, and the horrors of the subsequent Police Punitive Expeditions led by Sgt. Pilmer. Beyond the haunted well we enter the area Canning called the Great Oak Forest. We travel along a track pioneered in 2002 to avoid the floods which runs along the top of the sandhills to Well 36. We visit Bungabinni Native Well and continue on to our camp amongst the melealeucas at Well 35. The day begins with some bone jarring corrugations as we travel down a track once graded for 40km. We will fillup with lovely fresh water from Well 33, but will not camp here given the barren location. We will visit remote Kunawarritji Aboriginal community store and refuel. There is a chance to shop in their small store and have a shower. We will drive on down to Well 30 and camp beneath impressive stands of Bloodwood trees. Not too far south we will come to Thring Rock, an impressive sandstone outcrop rising from the sandhills. A short climb to the summit is rewarded with excellent views of the surrounding country- right out to the west you can see Lake Auld, another vast salt lake. Surveyor and explorer Larry Wells named all the features in the area during the ill fated Calvert Expedition after members of John McDouall Stuart's party that first crossed the continent. Well 29 is burnt out; nothing remains of well 28, and there is little left of 27 except some old rusted troughing and a couple of timbers. We camp in a magnificent natural amphitheatre in the Slate Range. If you are very quiet and wander about the hills, you might spot some rock wallabies here. We continue on to Teiwa Well (26), which in 1983 was the first well to be reconstructed. The complete reconstruction of this well gives you a very good idea of what the wells would have been like in their original condition. Shortly the Canning joins the Talawana Track, which if followed 450 km. to the west, one would arrive at Newman. The Talawana Track was surveyed by Len Beadell and built by his Gunbarrel Road Construction Party as part of the network of roads that serviced the Woomera Range. Using a hand pump we will refill our tanks with pure water from Georgia Bore, drilled by CRA in the 1970's and head to our camp on a sand hill beneath desert oaks with a spectacular view over Lake Disappointment. South of Lake Aerodrome the large sand hills recede and we continue on to Weld Springs at Well 9. Here the remains of a stone fort can be seen that was built by explorer and later Western Australian Premier John Forrest in 1874 to protect his party against attack by Aboriginals. We continue south and travel down to Pierre Springs. The well here has been reconditioned, and is surrounded by majestic river red gums. We encounter a magnificent stand of Grass Trees -Xanthorrhoea preissii -neither grass, nor trees, these magnificent plants are beautiful to look at. We continue on to camp in Mulga near Well 5. We continue south along the Stock Route to Well 4 and Well 3, camping in beautiful granite country. Whilst we are getting close to civilisation, the country still feels very remote. After stopping at Well 1 and 1A we arrive at the main road and turn for Wiluna having completed the longest stock route in the world. During the gold rush, Wiluna had twelve taxis, five sporting ovals, three swimming pools, three soft drink factories and four pubs, but in 1947 the mine closed and the population dropped to around 1000. We'll use Wiluna to clean up, both the equipment, and ourselves and re stock for the next leg, the journey back across Australia either on the famous Gunbarrel Highway or the Great Central Road (Please note that we will choose which route we take depending on local conditions at the time). If the weather is dry (which it usually is) we take the Gunbarrel. From camp we travel to Everard Junction. From here the Gary Highway, another Beadell road heads north. A short walk brings us to the top of Mt. Everard, affording spectacular views of the Gibson Desert. The track is very rocky and rough as it turns southward toward Mt. Beadell. Here you can climb to the top which houses a memorial theodolite to Len Beadell. We continue on past Notabilis Hill to our camp near Mt. Samuel on the Heather Highway. We cross the WA/NT border near Docker River and head due east to Kata Tjuta - The Olgas. It could only be described as culture shock arriving at the tourist circus that is the Uluru National Park. Sleek tour busses, perfumed men and women, shiny street cars, hotels, do this, don't do that signage. Whilst the rock and the Olgas are spectacular, they are not a feature of this itinerary, and we stop for lunch at the Olgas, and briefly refuel at Yulara before continuing on past Curtain Springs and on to drop off late afternoon early evening at Alice Springs Hotels. *Those who wish can leave the expedition at Uluru to explore this area further. Australian Bush Hospitality Pty. Ltd.